Steam is a well know gaming tool which was originally developed for Microsoft Windows operating system and Linux users have been using it in the past using the Wine utility. Good news is that it is officially available for Linux now and all popular new Linux distros support this. Steam provides hundreds of games at one place. 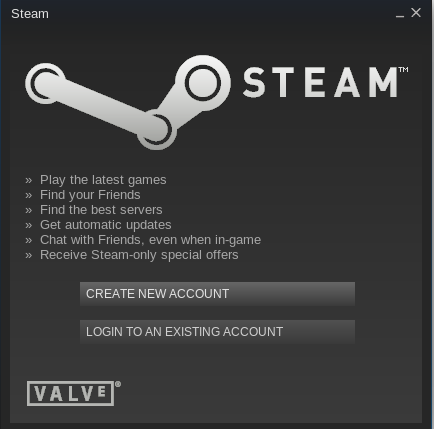 Steam, developed by Valve Corporation, is considered an ultimate entertainment platform as it provides social networking as well. Recently, over 4500 games are available through steam and 125 million active users are registered with Steam platform. The primary feature of Steam is to allow people download games through its software libraries, steam also provides Digital Right Management [DRM] for software, apart from this, steam has awesome community feature which lets users communicate with friends. Steam gaming client is a desktop application which lets you interact with your Steam account and enjoy gaming and social networking at the same time. We will be focusing our discussion on its installation process for Ubuntu 15.04 today. 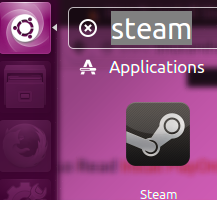 Due to its popularity, steam is part of official ubuntu repository now. In order to run steam games, please ensure that your ubuntu version is greater than 12.04 and you have minimum dual core system with 2GB of Memory. You will need better graphic card as well for the optimum performance. 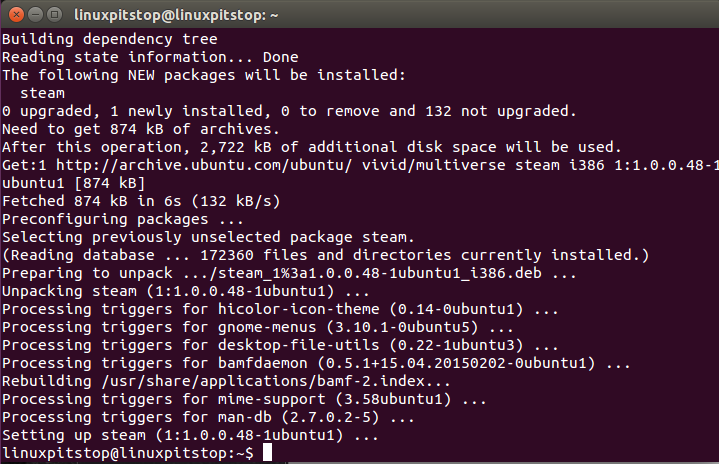 Launch your terminal and run following command to install steam on your ubuntu computer. 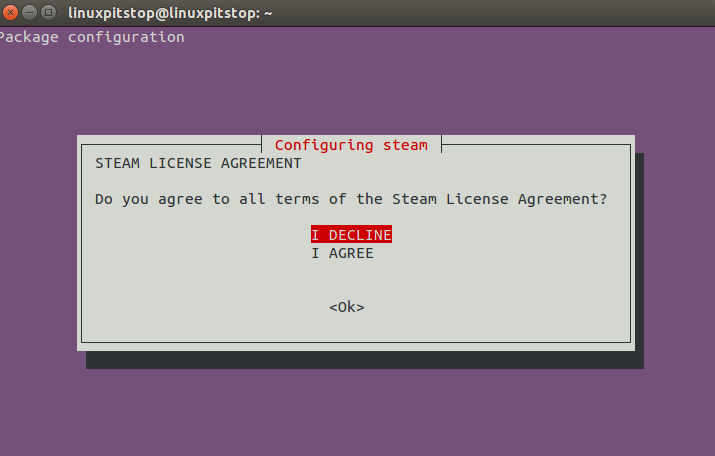 During installation process, “Configuring Steam” window will pop up, you need to read and accept install agreement here. Hit “Ok” to move to next step. Choose “I AGREE” from here and hit “Ok“ to proceed with the installation process further. That’s all, Congratulation, Steam has been installation on your system now. Once steam client has been installed, you need to update it, simply type “steam” on the terminal and hit “Enter”, it will launch a tiny dialogue box showing the progress for steam update. Sit tight, the update process should take while, once completed , go to Applications and launch Steam from here. Enjoy using Steam entertainment on your favorite Linux distro. Steam is best gaming platform for both Windows and Linux Operating Systems; it adds another level of fun to your Linux system. Although, there have been some successful hacking attempts to Steam databases, but company has improved security and fixed loopholes. Steam has ever growing user base and is already considered one of the biggest gaming communities.